Beginning in January, you can get an instant tax refund advance up to $6,000 at M&M Tax Service. Yes that’s right; tax refund loans are available this year! 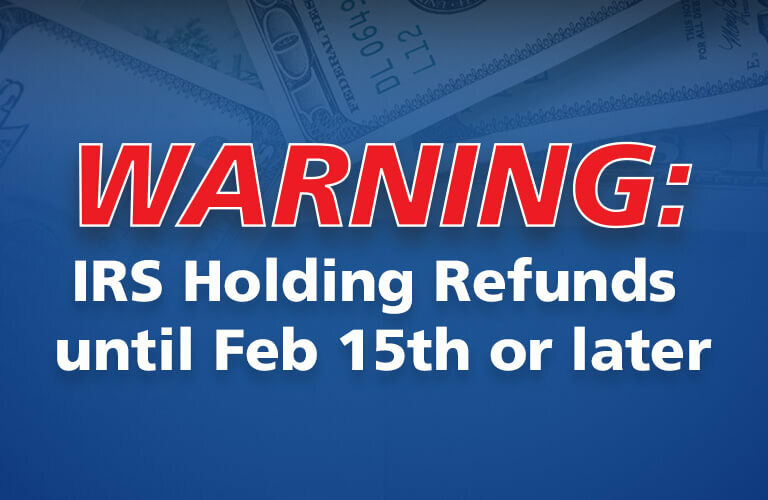 With the IRS announcing they will be holding tax refunds of early tax return filers who have children until February 15th or later, you may need this money now. Many times we see people that count on their early season tax refund check to catch them up on their bills after the holidays. Learn more about our Easy Advance*. The only way to know if your tax identity has been stolen is to file a tax return, the faster you file once you have all your tax information the less time someone else has to make a tax refund claim using your personal information. This also applies to the children you may be claiming on your tax return, you need to claim them before someone else does. At M&M Income Tax Service you can file your tax return today and pay later. We call this our “File Today, Pay Later” option. How can we do this you ask? When you file your taxes, we can deduct your fees from your tax refund. When you select this “File Today, Pay Later” option, we don’t stop working on your behalf until your tax refund gets released by the IRS. Learn more about our “File Today, Pay Later” option.